Buying your dream home has some unexpected expenses including home inspection fees, insurance fees, renovation, and repairs amongst others. Financial experts recommend that you put aside at least 5% of the price of your home towards such expenses. The reality is that most people would not be able to put aside this amount of money because of the huge expenses they incur while making the actual purchase of the home. You, however, have the option of taking a cash-back mortgage. When you put down your money for the down payment of the mortgage, the bank will give you back a percentage of the principal sum when your mortgage closes. You may then ask yourself why is it that the bank is so willing to give you back that amount of money. The answer may be as simple as the bank is able to charge you higher interest on their standard rate due to the cash-back facility. The rates could be as high as 2% above the standard mortgage rates. There could be other penalties including the bank may withdraw the cash back if you refinance or transfer your mortgage before it reaches maturity. Most cash-back mortgages will have a clause on them to help protect the bank. If you sell the property and pay off the mortgage and do not take a new mortgage, then you will pay back what you had initially taken on a pro-rated basis, thus encountering substantial penalties. Who can get a cash back mortgage? Not everyone is eligible for a cash-back mortgage, only those with high credit scores, low debt to income ratio and those with steady incomes are eligible. In some countries, insurance will not provide cover for those who cash-back as a down payment. When should you use the cash back mortgage? Chances are that after affording to buy a home, you will not have too much money left over for the additional expenses that may arise. While it may not be a good idea to go deeper into debt, sometimes it is the only option especially if you have no money left. You may want to consider other means of getting money, for example, taking secured lines of credit. This will result in you spending less money in paying back the debt because you avoid the high-interest rates associated with cash-backs. If however, you feel that you’re able to pay back the high-interest rates that come with cash-backs, then it is something that you can consider. This is especially true in a situation where your property is likely to appreciate. Some mortgage industry players are cautious about advising their clients to take cash-backs due to the high-interest rates. This is largely because banks use it as an incentive to get people to borrow more. They would actually recommend that if you’re able to save to buy what you need, then you should consider putting off unnecessary expenses until you can do it from your own savings. 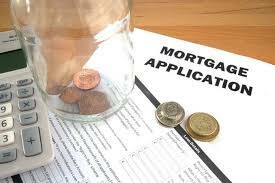 How to get mortgage financing. Getting a mortgage will help you realize your dream of owning a home. However, getting a mortgage can be difficult especially if your credit scores are not good. Banks also have strict lending standards that could deter many people from borrowing. However, if you’re determined to own your home and feel that you can be able to make the mortgage payments, it is important to take some aspects into consideration. We will highlight these and hopefully, you can realize your dream of owning your home. Get a mortgage that suits your financial situation. Buying a home gives you equity and you can also enjoy tax benefits. You, therefore, have to be very careful about what your mortgage terms and conditions are. For example, you will get a higher starting rate with a fixed rate mortgage but you are sure that your monthly repayments will remain the same. If however, you get an adjustable mortgage, the interest normally starts lower but may spike depending on how the market situation is. This can lead to frustration because you cannot predict and properly plan for the higher interest rates. Lenders will look at your debt to income ratio because it will give a good indication of whether you are comfortable in making the monthly payments. If your debt level is very high and your income is low then you will not be a good candidate for loans. Before applying, make sure that you reduce the number of loans you have, and if possible consolidate them so that you make lower monthly payments. Cash-back mortgage -consider additional expenses. When buying a home, additional expenses do come up including taxation, transfer fees, innovation fees, purchasing of furniture and other home equipment, amongst others. You may find that you are not able to do these things because of lack of money. Some mortgage lenders offer the cash-back option, which means that you can get a percentage of your mortgage amount once you make the down payment. The rates vary depending on the lender and will range between 1 to 7%. However, you need to know that you will be paying a higher interest rate on the cash-back loans, sometimes as high as 2% above the standard mortgage rate. If you can, you may want to consider holding off on some of this expenses until you’re able to pay for them from your own savings. This is not to say that cash-back loans are a bad idea if you can afford them, then, by all means, go ahead and take them, but just be clear that you can pay them back as required by the lenders. Be careful about your borrowing. The lure of quick free money has seen many fall into the borrowing trap and not being able to pay back the lenders. This will negatively impact your credit rating, making it hard for you to access funding in the future. A bad credit score will also impact on the interest rate the lenders will charge you. Those with poor credit ratings are present a risk of defaulting and banks, therefore, apply higher interest rates as a way of protecting themselves in case of defaults. Try as much as possible to slow down on the number of loans you take and only take what you can comfortably service. Frequently asked questions about cash-back mortgage. You may have had about cash-back mortgage but you are not very clear about what it is. Use our FAQs below to get a better understanding of what cash-back mortgage is. What is cash back Mortgage? Anyone who has bought a home will tell you how expensive and financially draining it can be. Once you’re done with the payments, you will realize that there are some expenses that may arise that you had not initially thought of. Lenders are privy to this information and will offer you the cash-back mortgage as a way of helping you have money that you can use for such expenses. They will calculate the cash-back rate using the principal amount as the basis. Depending on the lender you can get between 1 to 7% of the mortgage amount. Who is a cash-back mortgage broker? 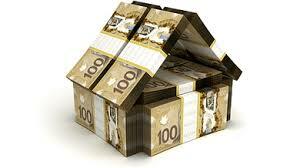 A cash-back mortgage broker is a regular home broker, but one who can negotiate cash-back terms with lenders. It is important to realize that not all lenders give cash-back mortgages, and this means that not all brokers know how to negotiate this. If you know you may require the cash-back option, you may need to look for a mortgage broker who has experience in this field. Most lenders will tell you upfront that the interest rates you will pay on cash-back are higher than the standard interest you pay on a mortgage loan. The rates vary from lender to lender and usually range between 1 to 7% of the principal amount paid. When taking cash-back loans, you should always consider the overall cost that you will end up paying. 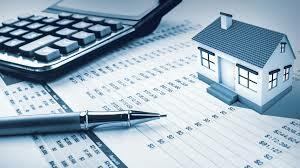 There are mortgage calculator tools you can use, but it would behoove you to use a mortgage broker who will be able to negotiate for you the best rates. What is the main advantage of taking cash-back loans? Cash-back loans are taken because you do not have the money to complete a project you might need to do in a newly purchased home. 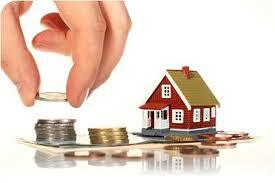 This is, therefore, the main advantage of cash-back loans. It gives you a lump sum that you can use for whatever expenses that may have arisen with the purchase of your home. What is the main disadvantage of taking cash-back loans? The main disadvantage of taking cash-back loans is that you will be getting yourself deeper into debt and will have to contend with the higher interest rates. The accessibility also makes people take loans that they may not necessarily need. Some repairs or purchasing of furniture can wait for a period of time as you recover financially, however, with the lure of quick money people find that they will take the loans which they will have to pay back. What penalties can one incur if they’re unable to pay back the cash-back loans? If you had collateral, you will lose them to the bank because they will sell them to recover their money. 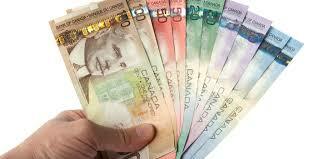 Cash-back loans are also very rigid when it comes to refinancing or lump sum payment of the amount borrowed. Be very clear about the terms and conditions on the penalties you will incur in case of anything. Before a home becomes what you really want you to be, it takes so much more than just purchasing the house. You will find that you have some additional expenses that may come up afterward including renovation, buying of furniture, paying of maintenance fees if you live in areas that require that, amongst other cash needs. You will, therefore, find that you may not have sufficient funds to cover these additional expenses. You can, therefore, apply for a cash-back mortgage from your lender. The lender will advance you a lump sum of money when your mortgage closes, and it usually ranges between 1 to 7% depending on your lender. You need to know that not all lenders offer cash-back mortgage and a good mortgage broker will be able to advise you on which lender to go to for the best rates. What is the cost of a cash-back mortgage? Cash-back mortgages come with fixed interest rates which are usually higher than what you would pay for a standard mortgage. This is the way the lenders protect themselves because they advance you the cash up front. 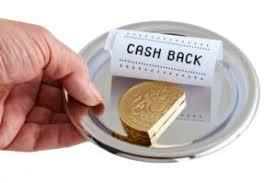 The main advantage of cash-back is that you get tax free cash rebate. This means that you can use this money to take care of some of the expenses including renovations, you can save the money, and you can use it to pay legal fees, land transfer taxes amongst other things. Other than the high interest rates, you need to be careful about adhering to terms of payment. Refinancing or breaking mortgage terms can result in you paying back a portion of your cash rebate or even the full amount depending on the lender. A good mortgage broker should be able to advise you on the best cash-back mortgages available in the market since they are not consistent and may vary from lender to lender or from time to time. Lenders will offer cash-back on mortgages as a way of getting customers to borrow. It is really reassuring because it shows the borrower that they will have money even after the mortgage closes. Some lenders require that a customer stays with them for up to three years before they can benefit from cash-backs. 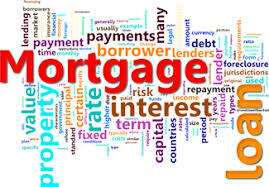 .A mortgage broker will, therefore, negotiate with a bank on your behalf from a position of power because they deal with their lenders all the time and therefore know how to negotiate with them to your benefit. As mentioned earlier, cash-backs are a reward given to you by lenders and are an incentive for you to stay with them for a long period of time. The cash-back allows the bank to lock you in for a period of time. Before taking the cash-back, you need to be sure that you understand all the terms and conditions because they vary from lender to lender. One thing to note is that some banks will take back the cash-back if you refinance your mortgage. If you retain your lending with the bank, they will normally not take it back. A review of cash-back loans. 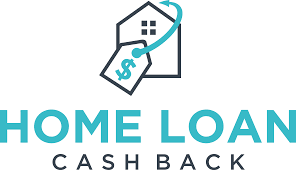 Cash-back loans enable new homeowners to take care of additional expenses that may arise with the purchase of the home. You may find that you need to do some repairs in the home, buy furniture, and pay expenses like taxes or transfers fees amongst others. The cash-back is usually a percentage of the principal mortgage amount and you get the amount when you make a down payment on the loan. You will pay back the loan at a higher interest rate than the standard mortgage interest rates. If you refinance or transfer the loan you will lose the benefit of the cash-back because the lender may decide to withdraw the offer. 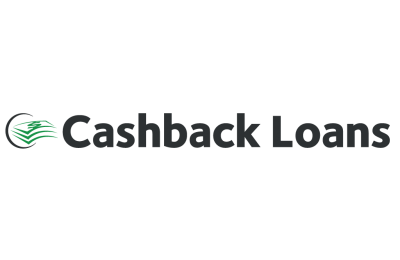 What are the benefits of cash back loans? 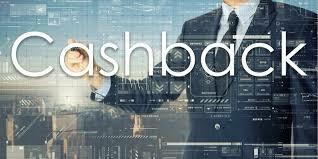 Cash-back loans use your bank and employee information to determine if you are creditworthy. As long as you demonstrate that you can pay the loans, you will qualify for the short term loan. Cash-back loans do not take a long time to apply and some banks have the facility online. This means that in a few minutes you could get approval for the amount you wish to get. Depending on where you apply for the loan from, the turnaround does not take a long time. Some turnaround times are so fast that within a few minutes you will know whether you have approval or not and can collect your money almost immediately. There are some fees you need to consider when applying for a loan and the lenders are usually very clear on what they are. Make sure you have a clear understanding of what these fees are and what it will mean for the overall amount of money you’ll end up paying. Banks charge a higher interest rate on cash-back mortgage. If you can do without the loan, then you may be better off not applying for it. If however, you cannot do without it, just to be clear that you need to pay back a larger amount than you would on a standard mortgage. Bad credit loans use collateral to secure the loan. This means that if you’re not able to pay, you will end up losing that collateral, whether it is a house, a car, or equipment. Some people would question whether cash-back loans are safe to take. Just like a mortgage, cash backs have terms and conditions and you need to know what they are so that you do not get any nasty surprises somewhere along the line. You need to know that you will pay back higher interest rates and there are penalties that you may face if you do not adhere to the terms and conditions.